to launder before wearing so its soft against baby's skin. Made in the USA. 100% cotton camo; knit is cotton blend. Machine wash COLD gentle detergent. . 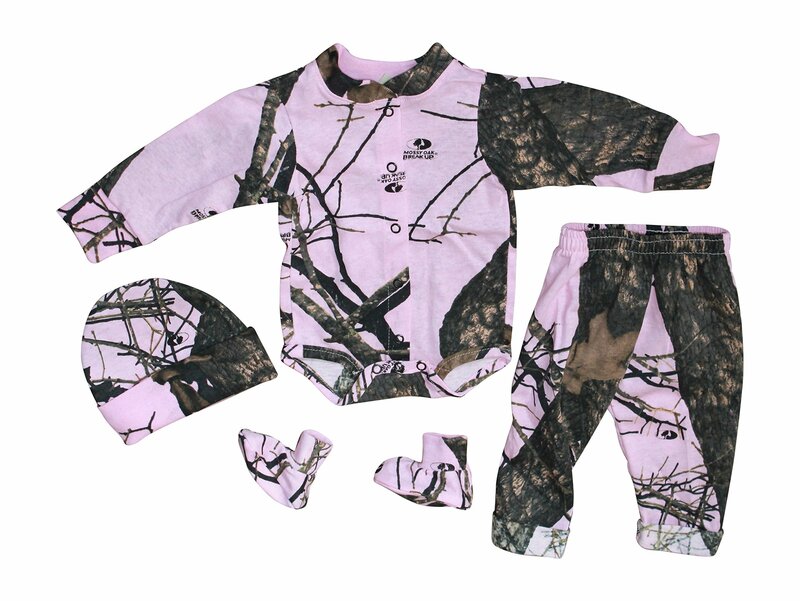 Boys 4 PC baby set in licensed Mossy Oak - now you can "bring him home in camo"